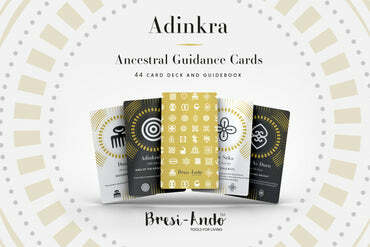 Using the world's first, Adinkra Ancestral Guidance cards, the creator of the deck - Simone Bresi-Ando will give intuitive readings based on the guidance and messages from your ancestors that come through the cards to answer questions you pose. Cartomancy is the act of divination via cards. Divination is a means to find out by intuition, magic or inspiration - to foresee events. Within an in-person, 30 minute session at HealHaus in Brooklyn, NY - Simone will help you make sense and clarify the guidance the cards give. space in the market for spiritual tools and practices centered within a West African context. 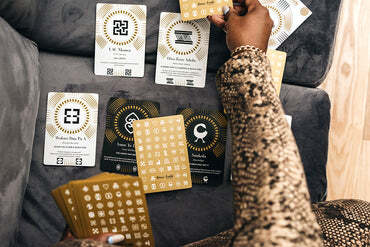 The products are geared to help the user make sense, overcome, heal and thrive at life, by reconnecting with their ancestors, deepening their intuition and teaching processes to help them manifest their desires.